What is Iliotibial Band Syndrome (ITBS)? The iliotibial band is a tendon-like structure that extends along the outside of the thigh from the hip to the knee. Iliotibial Band Syndrome (ITBS): is a common overuse injury that most commonly occurs in sports that require repetitive flexion and extension of the knee, such as running, long distance running and even cycling. ITBS occurs when there is inflammation and injury to the iliotibial band. Repetitive knee motion can cause pain anywhere along the course of the iliotibial band, but the pain most commonly occurs along the outside of the knee. 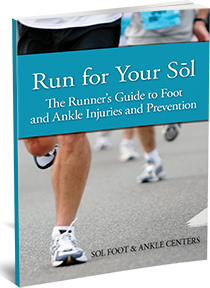 Read more about running injuries on our podiatry blog.